So begins Jim Wales’s story in Robbers’ Roost. While a battle rages between two outlaw gangs in a remote Utah canyon, Jim struggles to rescue Helen Herrick, who has been captured and held for ransom. Robbers’ Roost tells the story of their personal struggle to escape the clutches of the murderous outlaws while simultaneously safeguarding their passion, one that is not likely to survive the beautiful, yet deadly, terrain and people of the old American West. This was a good western. 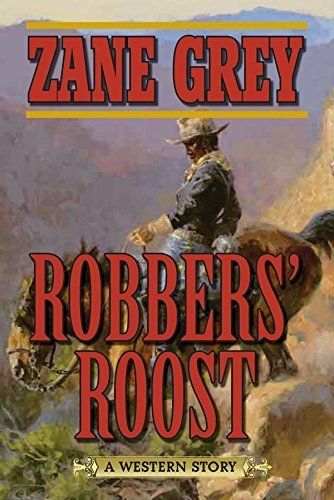 I liked Zane Grey’s main character in this one because he was complicated and full of different feelings. The story line was rather predictable, but good. I also liked the supporting characters and their unusual traits.